If you are a writer or creative artist who invests your time pursuing your passions and dreams, chances are that somewhere along the line, you’ve had to re-adjust your vision of what living a creative lifestyle really looks like. Many of us who pursue creative paths often enter our fields unprepared for just how challenging the life of a writer and creative artist can be! It’s no wonder that so many writers feel blocked and so many creative artists burn out or turn to unhealthy outlets to fuel their creativity – but here’s a healthy and effective way to deal with these challenges. Pick up a copy of Overwhelmed Writer Rescue: Boost Productivity, Improve Time Management, and Replenish The Creator Within by Colleen M. Story – it’s the creative career prescription that writers and creative artists need! Colleen Story knows what it’s like to be overworked, overwhelmed, and pulled in a thousand directions: with over 20 years of experience in the writing industry, she’s the perfect coach to help writers and other creative artists gain control of their time and infuse passion back into their lives! Part 1 explains why we feel so overwhelmed and offers ideas and exercises to help us get our lives back under control. Part 2 provides us with methodologies that will help us to increase our productivity when we’re writing and performing other important tasks in our lives and show us how to produce more creative work in less time. Part 3 helps us to determine which parts of our personality are secret saboteurs in our lives, undermining our efforts to write and create. Once we identify our saboteurs, we’ll also learn tips for successfully bypassing them. Part 4 shows us the key skills we must master in order to maintain productivity over the course of a long-term creative career. 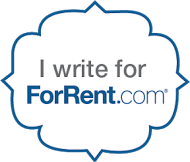 Overwhelmed Writer Resource is an invaluable book that every writer and creative needs to arm themselves with in order to ensure both their short-term and long-term success. Colleen M. Story has worked in the creative writing industry for over twenty years. Her novels include Loreena’s Gift, an Idaho Author Awards first place winner, New Apple Solo Medalist winner, Foreword Reviews INDIES Book of the Year Awards winner, Reader Views award finalist, and Best Book Awards finalist; and Rise of the Sidenah, a North American Book Awards winner and New Apple Book Awards Official Selection. As a health writer, Colleen has authored thousands of articles for publications like Healthline and Women’s Health; worked with high-profile clients like Gerber Baby Products and Kellogg’s; and ghostwritten books on back pain, nutrition, and cancer recovery. She finds most rewarding her work as a motivational speaker and workshop leader, where she helps writers remove mental and emotional blocks and tap into their unique creative powers. Colleen is also the founder of Writing and Wellness), a motivational site helping writers and other creative artists maintain their physical, mental, and emotional health and well-being throughout their careers. Create With Joy is delighted to participate in the Overwhelmed Writer Rescue Book Tour, which is hosted by iRead Book Tours! Please visit the Overwhelmed Writer Rescue Book Tour Page to learn more about the author, to read guest posts and author interviews, and to see what other bloggers have to say about this book! Connect with Colleen on Twitter. The Overwhelmed Writer Rescue is available on Amazon. Create With Joy is thrilled to offer you the opportunity to win one of 3 copies of Overwhelmed Writer Rescue (see Rafflecopter for details)! This giveaway is open to Create With Joy readers who are 18 years and older through September 22, 2017 and reside in the United States. Looks like an interesting book. I love the cover. This book sounds wonderful. I hope it will help with my overwhelming schedule: poem critique group twice a month, social media for 3 published books in two genres, membership in AAUW, Delta Kappa Gamma, California Writers Club, High Desert Branch, Friends of the Library, a community church, and more, and Director of the Dorothy C. Blakely Memoir Project which connects witers with high school juniors so the highschoolers can write their elders’ 3500 word memoirs. Help! This looks like a book I can use. I have five unpublished novels and quit going to the yearly writers conferences because I got so far off task in my writing. Recently, I’ve done more historical short stories that I sell on my teachers website. I really need to stay focused, so thanks for the contest. Thanks for joining us. Your shares are always much appreciated. I have a few friends who might enjoy (or need!) this one! Thanks for sharing this at Booknificent Thursday on Mommynificent.com!